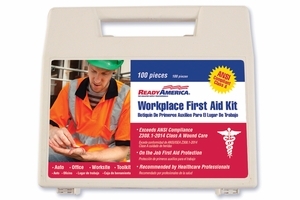 Recommended by Healthcare Professionals, the 100 piece Workplace First Aid kit is designed to exceed ANSI Z308.1-2014 Class A compliance for on the job wound care and first aid protection. 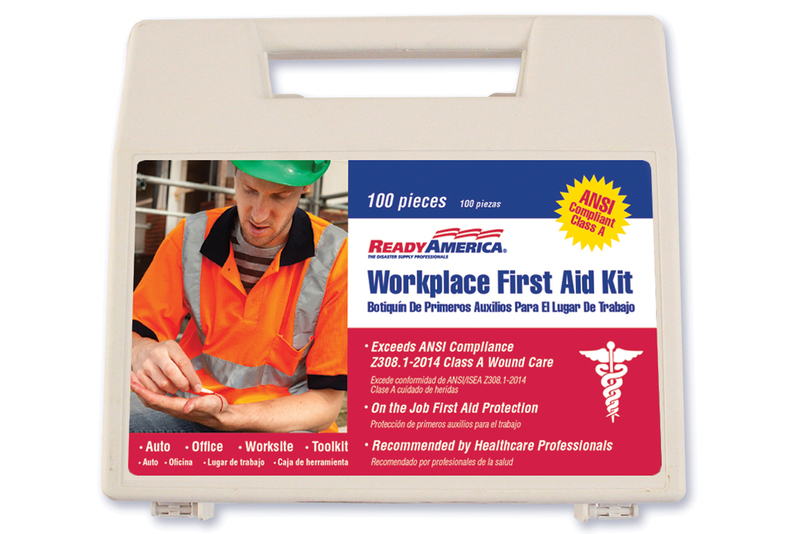 Contents are organized within a light carrying case for quick deployment. 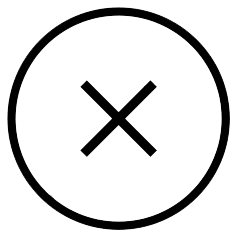 (2) Eye Pad w/ Attachment 2.9 sq in.